Description: Our “God Bless Our Heroes” Cremation Keepsake Pendant was designed to honor our fallen Military/Special Services, e.g. (Police, Fire, K-9, Paramedics, EMT and service animals). 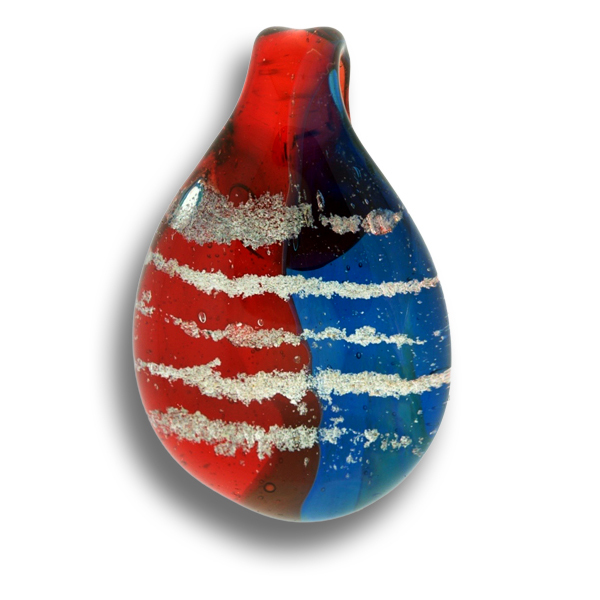 It is an optical clear pyrex glass pendant in red, white, and blue with a small amount of the fallen hero’s cremains in the stripes. Once completed, I will sign the loved one’s first name or nick name, e.g. Dad, Mom, etc. on the back of the keepsake in 22k gold, so as to be Forever in Glass.